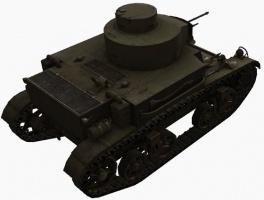 Shorter and smaller than its tier 2 cousin, the T2 Medium Tank, the M2 Light Tank has many of the same stats plus a much more powerful engine. 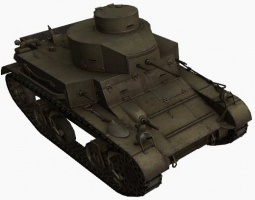 The M2 is one of the fastest tier 2 tanks and is decently armored. 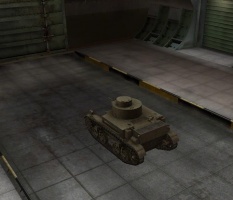 It has a bit of difficulty in tight spaces, but in the open it is very fast. 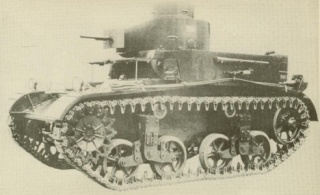 Its speed is best used to exploit the sluggishness of other low tier tanks. 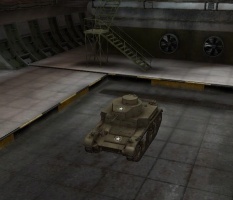 Many High Tier players also use this tank to "Seal Club" Newcomers. 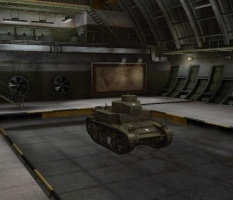 In its stock configuration, it is initially armed with the weakest gun in the entire game. While an excellent machine gun in real life, the .50 caliber M2 Browning machine gun is at best described as an amusing novelty in World of Tanks. But it can still be used well if you aim at your enemies' weak spots. Thankfully, it can quickly be upgraded to the Hispano-Suiza Birgikt auto-cannon, which does more damage and has higher penetration than the .50 caliber. 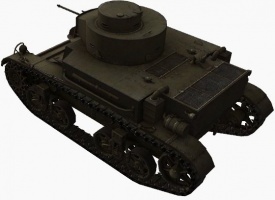 Later the gun can be upgraded again with a powerful 37mm gun that hits very hard for its tier, considering its short reload time. 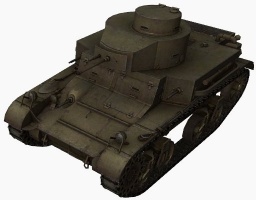 With great view range for a tier 2 tank, small size, high top speed and good maneuverability (especially with a trained crew) this tank makes a great scout regardless of tier - and is very underestimated by many higher tier players. 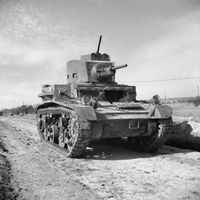 A good tip is using this for tank companies - being a tier 2 tank, it has a very small match weight, but is still very useful as a scout and arty killer(although its guns might have issues penetrating even artillery). 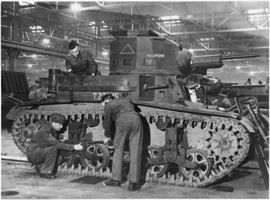 For example, one could bring (theoretically) THIRTY of these tanks in a medium tank company, although the feasibility of this is questionable. This page has been accessed 229,283 times.